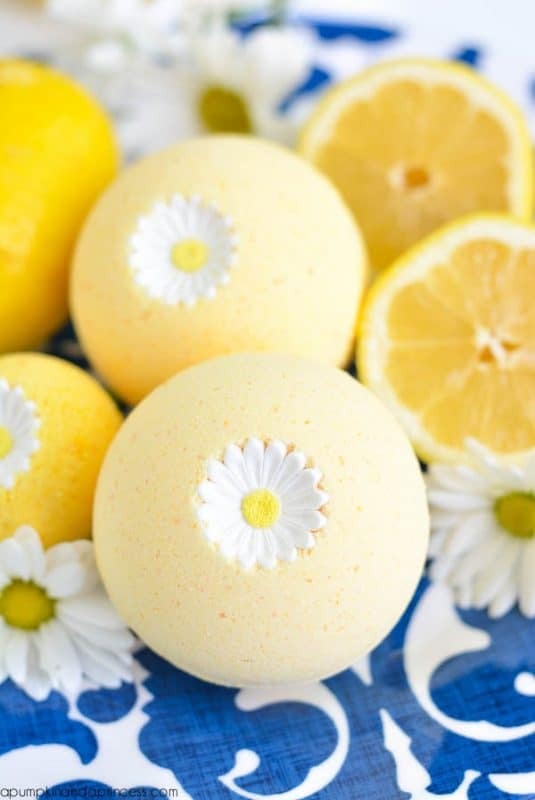 These lemon bath bombs from A Pumpkin and a Princess are almost too gorgeous to use! You’ll want to display these in an apothecary jar or some other clear container that shows off their beauty. These delightful fizzy cupcake bath bombs are cute enough to eat – and they’re a lot better for you than real cupcakes! You actually use royal icing frosting for the top decoration, which you can either put in the bath or take it off before adding it to the tub. 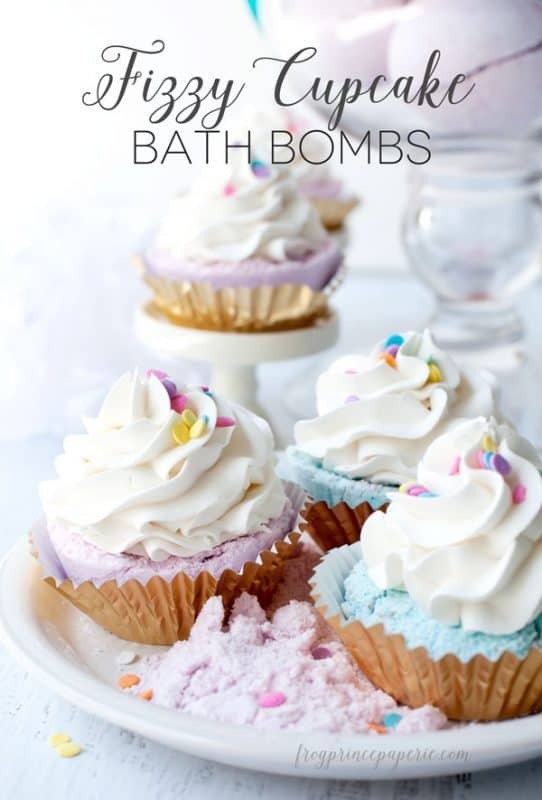 This is a great basic (and easy) recipe for making bath bombs. Just use any essential oil that you like to add fragrance. 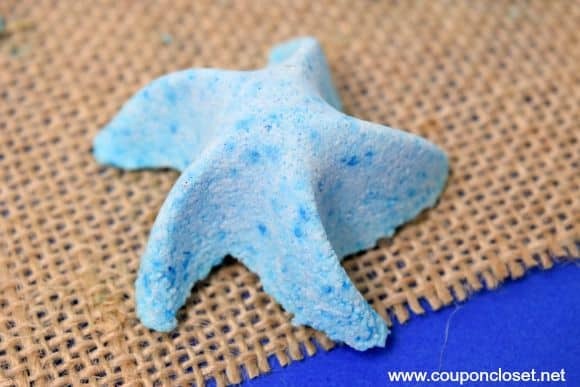 She suggests using silicon molds to make shaped bath bombs, which you can find in loads of different shapes at your local craft store or Amazon. I also love the presentation of adding lavender or another dried flower to the jar! 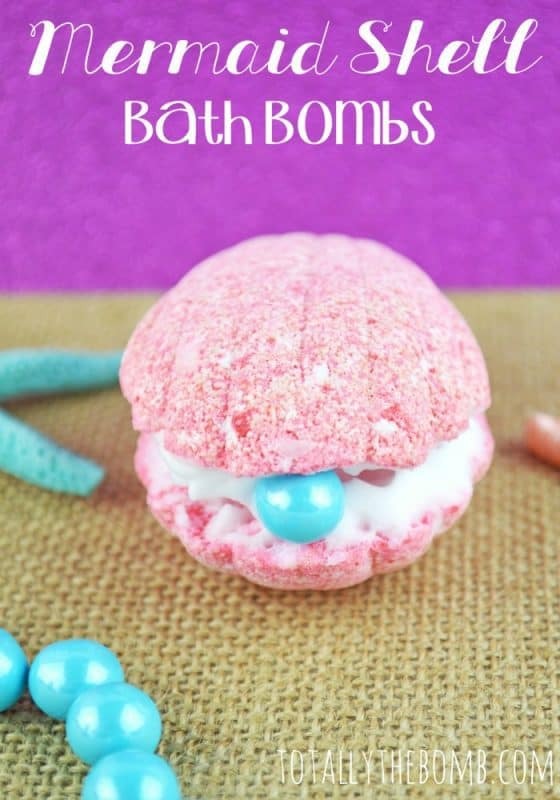 These scrumptious-looking bath bombs could actually be good for you! The cocoa powder helps firm skin and reduce puffiness, while the cocoa butter is rich in anti-oxidants that will help keep skin supple. All this, and they’re calorie free! 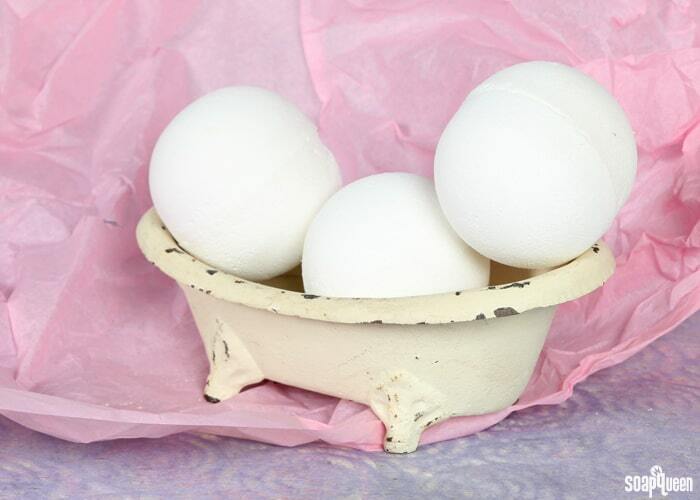 They may look a little plain, but these bath bombs have a hidden surprise…they change color as soon as you add them to the water! 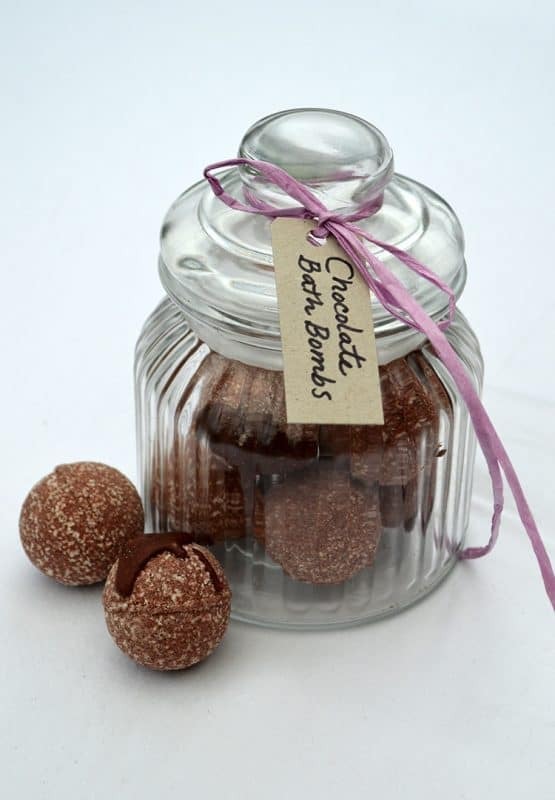 Fun for kids to make, and Mom or Grandma will enjoy the hidden surprise. Bring a touch of the ocean to your bath with these colorful starfish bath bombs. You can find the silicon molds at your local craft store or at Amazon. 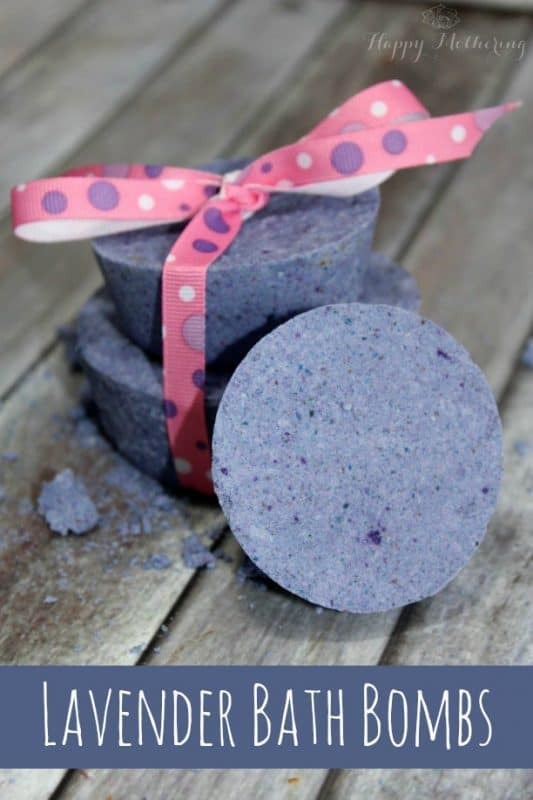 Not only are these lavender bath bombs a fun color, but they will help you get a better night’s sleep. Lavender is supposed to have a calming, relaxing effect, which is why it’s added to so many nighttime bath oils and lotions. 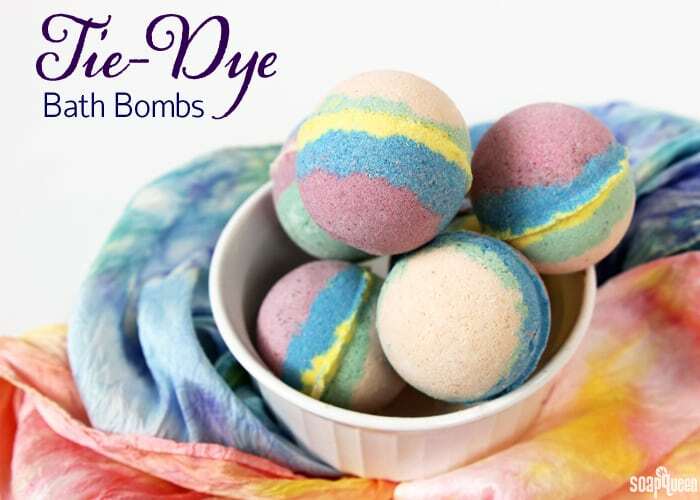 These groovy tie-dye bath bombs are a blast from the past! She even recommends using “Flower Child Fragrance Oil”…what a throwback! Of course, you can use any fragrance you’d prefer. Perfect for the Mom or Grandma who is truly a child of the 60s. Need a little beach inspiration? These whimsical mermaid shell bath bombs are just what you need to escape into your own magical daydream! 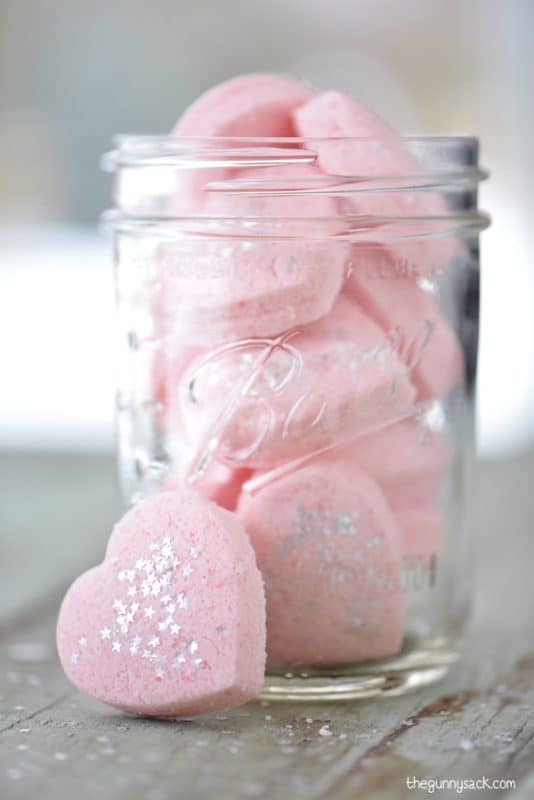 Every woman deserves a little sparkle in her life, so here’s a fun recipe for bath bombs with glitter. The heart shape is a wonderful way to remind Mom how much you love her! 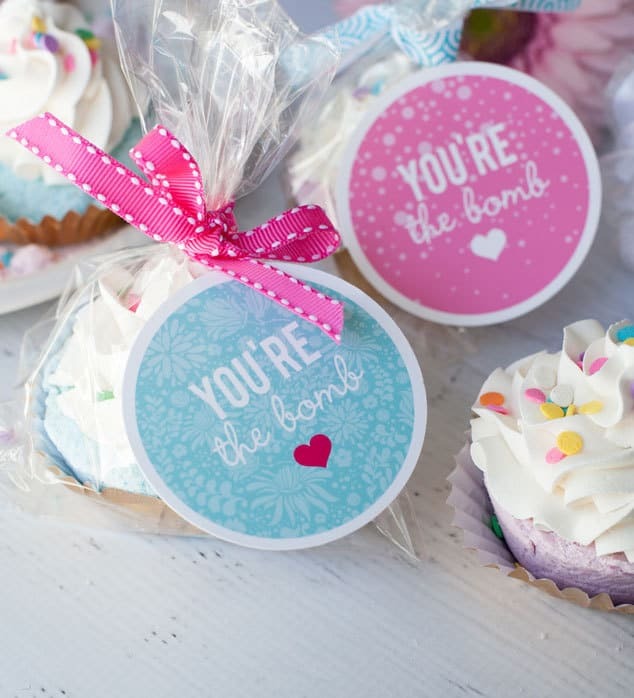 How cute are these free printable “You’re the Bomb” tags? 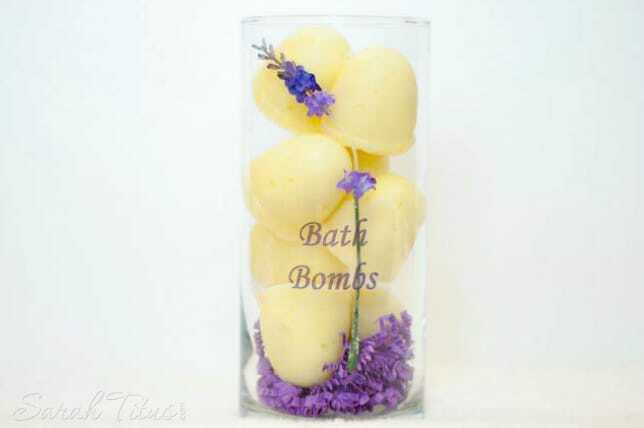 They’re the perfect accent to your homemade bath bomb gifts. Download them here. 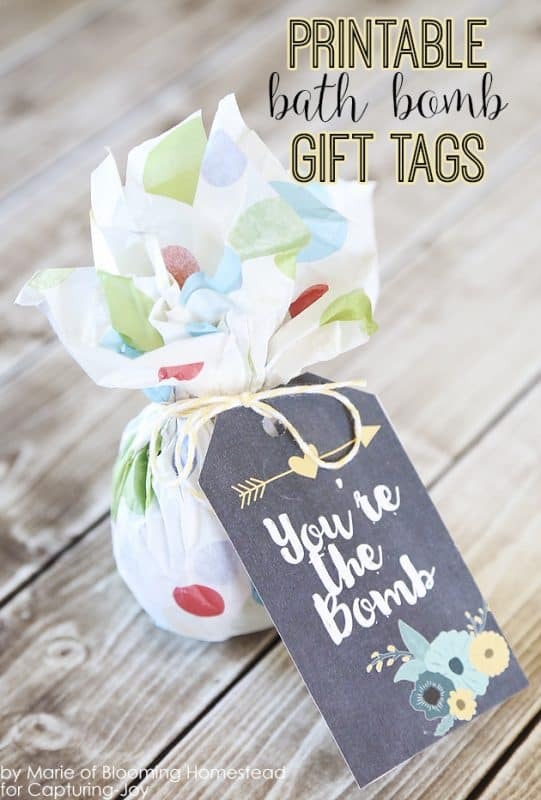 Here’s another cute bath bomb gift tag that you can print at home! You can download the printable here.